The boardwalk at the Shore. 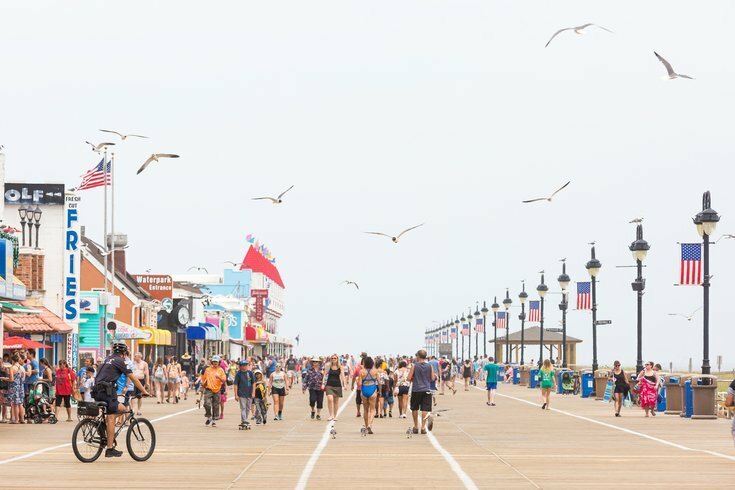 An annual inspection of boardwalk gaming establishments and retail locations has already turned up 12 violations of New Jersey consumer protection laws, the state attorney general's office announced on Tuesday. The "Safe Summer" boardwalk inspections are designed to protect the public from unfair practices at arcades and shops, ensuring that both follow rules to ensure games are winnable and prices are transparent. Investigators from the Legalized Games of Chance Control Commission unit and its Office of Consumer Protection began their inspections last month in Seaside Heights and Atlantic City. A review of eight arcades and 27 individual amusement games discovered five locations with violations. Some involved classic crane machine games with prizes that were either too heavy to lift or packed too tightly together to remove. At one boardwalk game, the top prize was impossible to win in the number of allotted chances. At both boardwalks, a total of 11 gaming violations will be presented to the LGCCC for possible action. The OCP conducted inspections at 25 stores, finding seven violations. Hundreds of items for sale, from children's clothing to shot glasses, failed to display clearly marked pricing, investigators said. One store did not provide a prominently posted refund policy. First violations are subject to fines of up to $250, while all subsequent violations carry fines up to $500. Additional inspections will continue over the coming weeks in Keansburg, Long Branch, Pt. Pleasant, Manasquan, Seaside Park, Seaside Heights, Sea Isle City, Wildwood, North Wildwood, Stone Harbor, Beach Haven, Atlantic City, Brigantine, Beachwood, Toms River and Cape May.